The Mister Christian cocktail is fruity and delicious – kind of a grown up version of fruit punch. 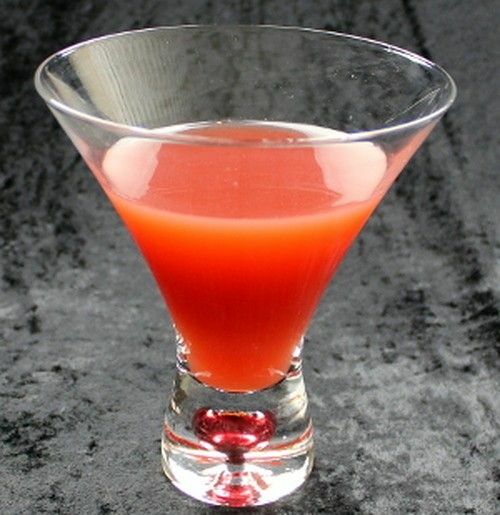 It features orange, lemon and lime juices along with grenadine, and all that’s balanced by light rum and brandy. This is a refreshing drink that makes a nice little pick-me-up at the end of a long day. It’s great whenever you’re wanting something that’s all citrus and berry, but with a kick. Fill a cocktail shaker halfway with ice cubes. Pour in all of the ingredients and shake well. Strain the mixture into a cocktail glass.